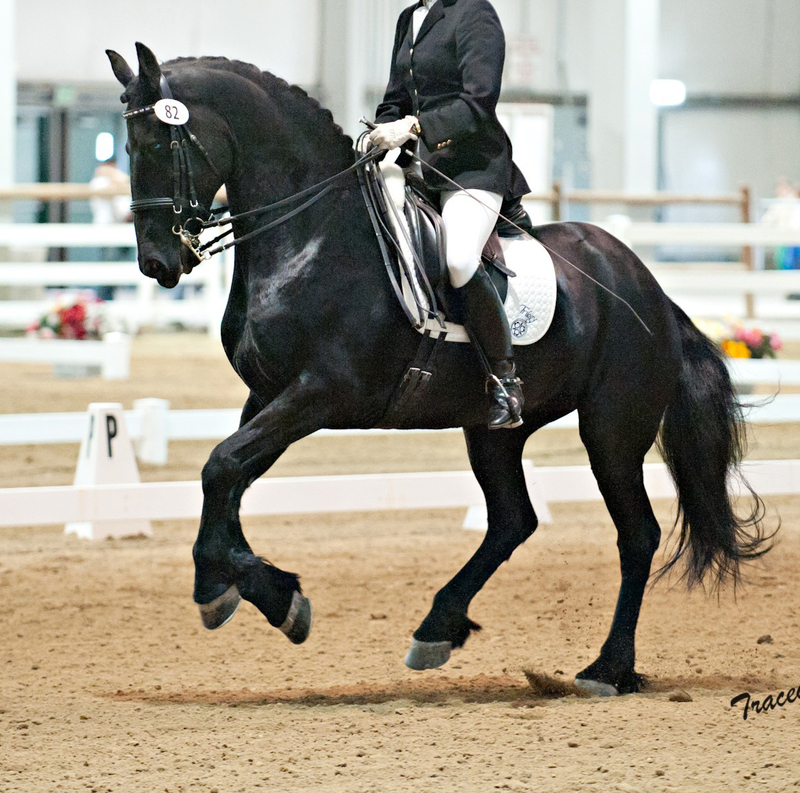 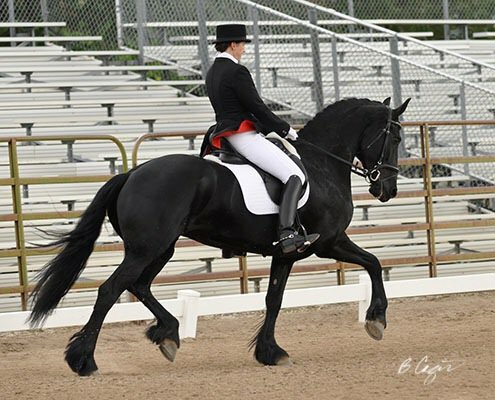 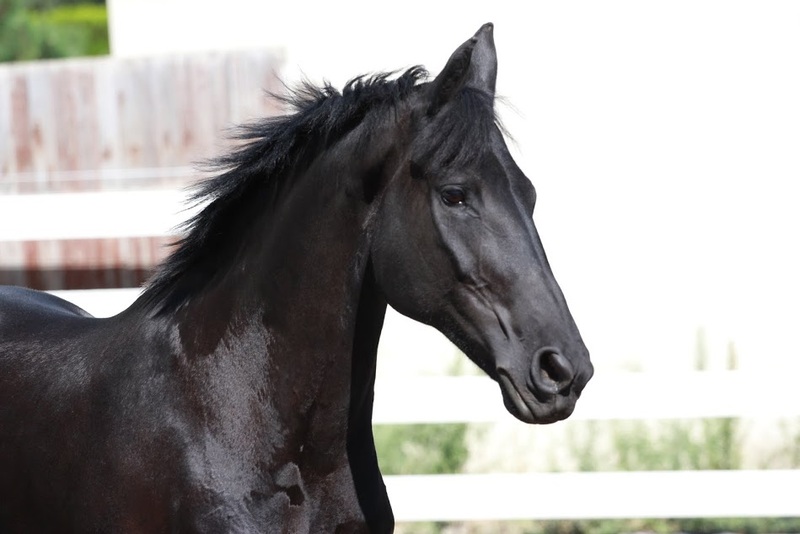 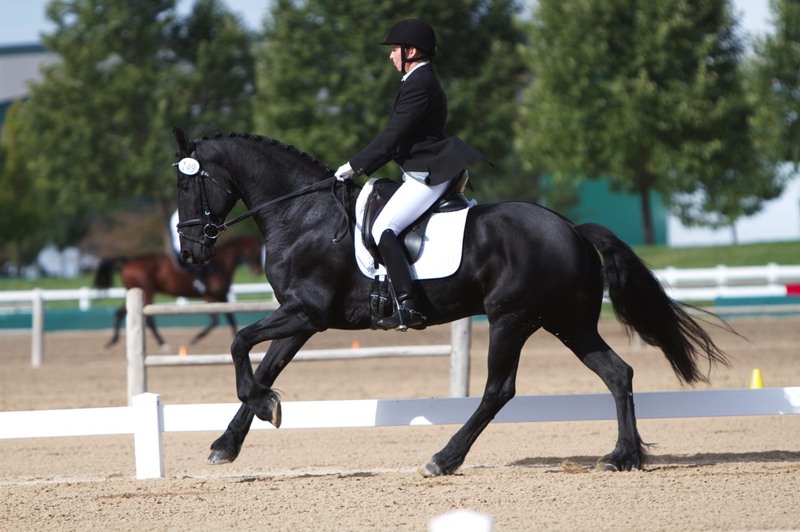 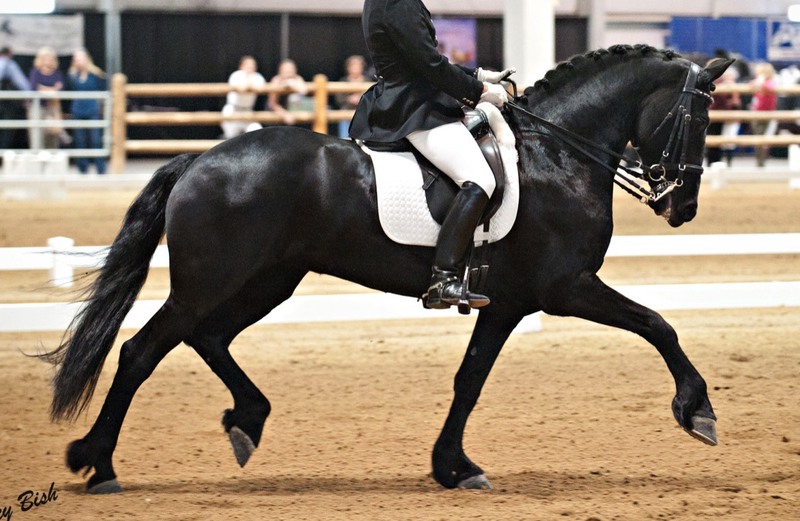 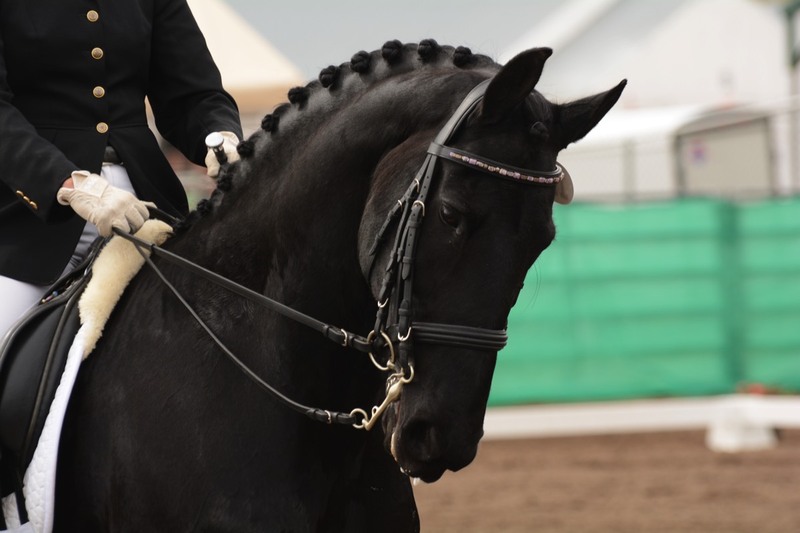 Elegant modern sport built Friesian with forward, uphill movement. 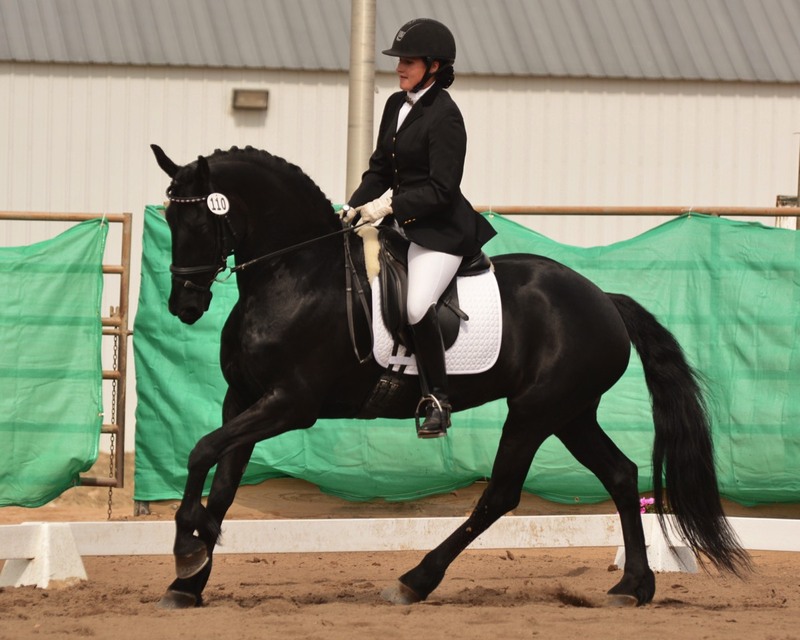 Excellent mother line with ster, ster preferment and model. 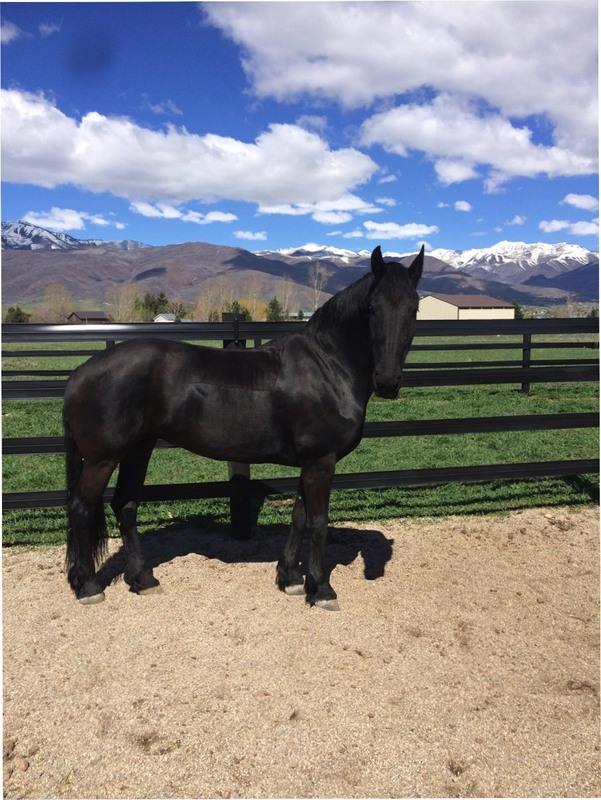 Xena Kismet came to Black Magic Farms as a weanling and her outgoing, can-do personality made her an instant favorite. 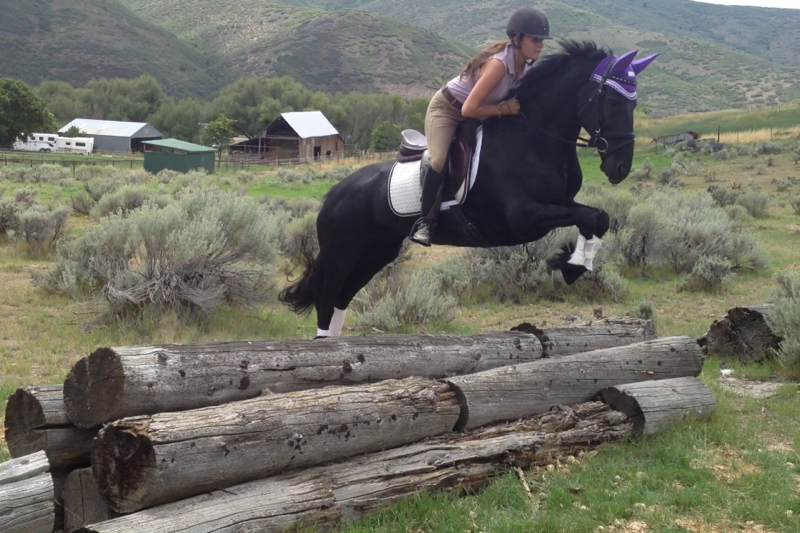 Xena readily takes on new challenges and is always eager to show off; especially for the boys. 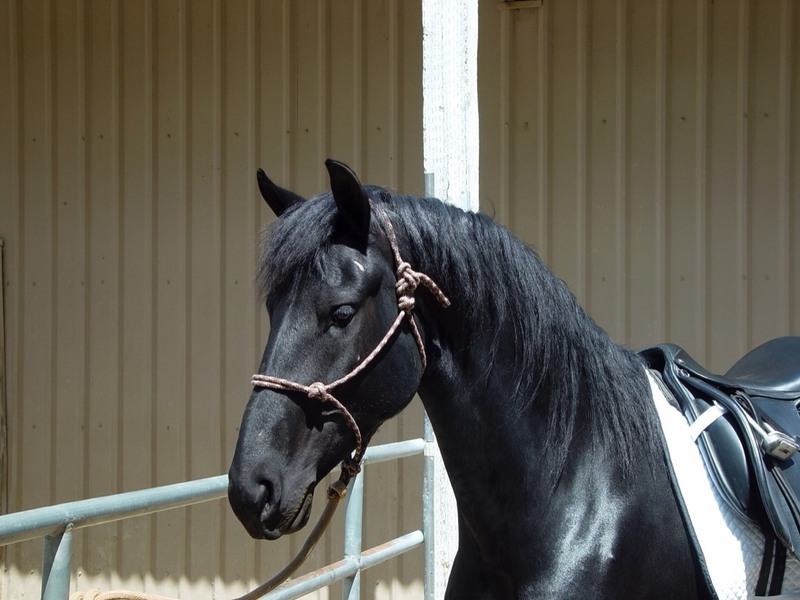 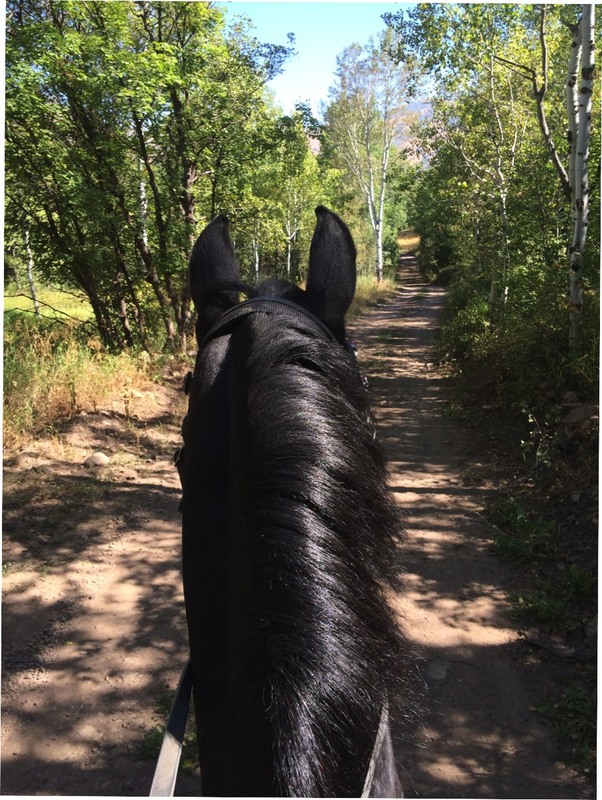 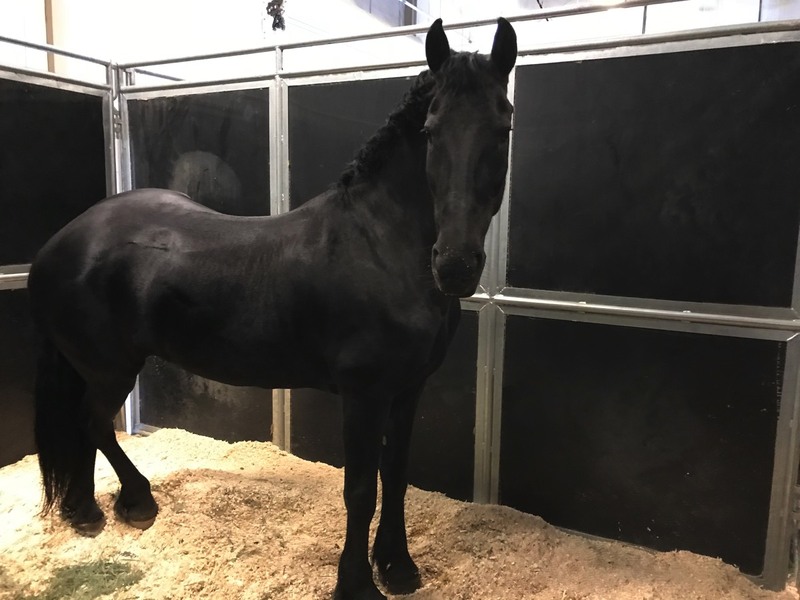 She is an extremely forward moving Friesian and has earned the nickname of "Hot Tamale" in the barn. 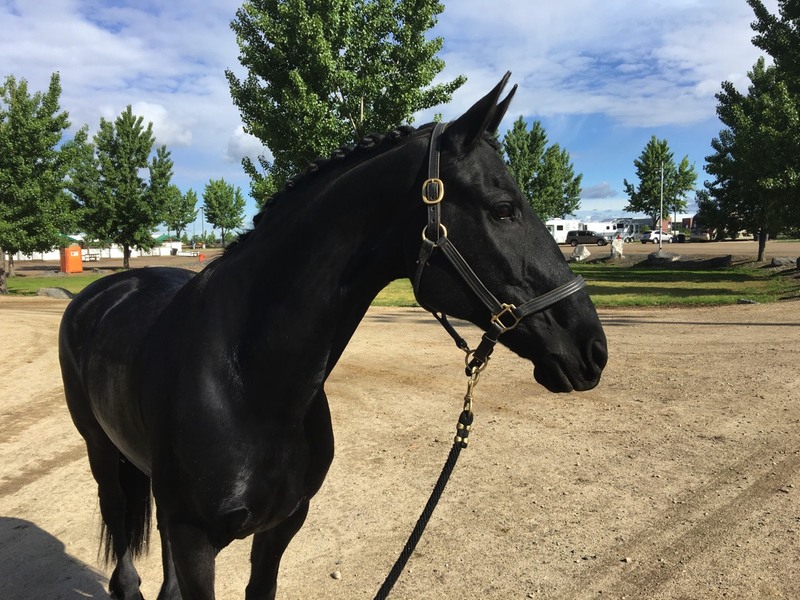 People quickly realize how amazing this mare is when they learn that at ten months of age she slipped on some ice and broke her pelvis. 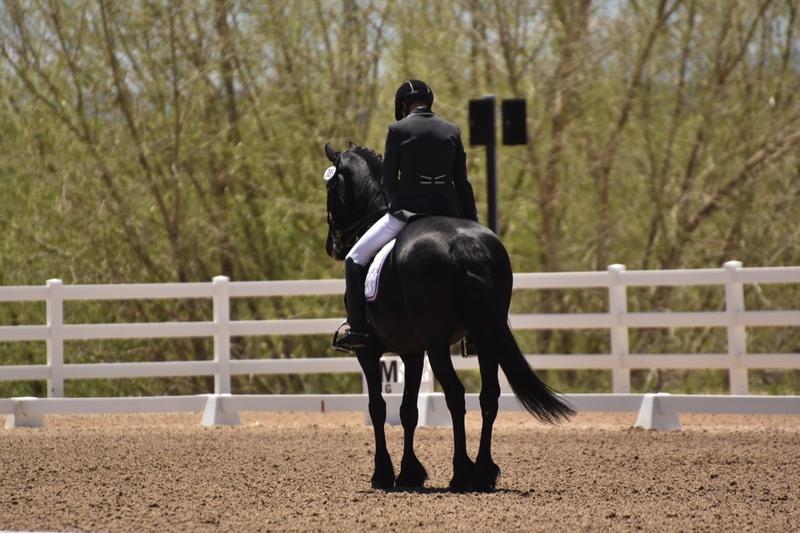 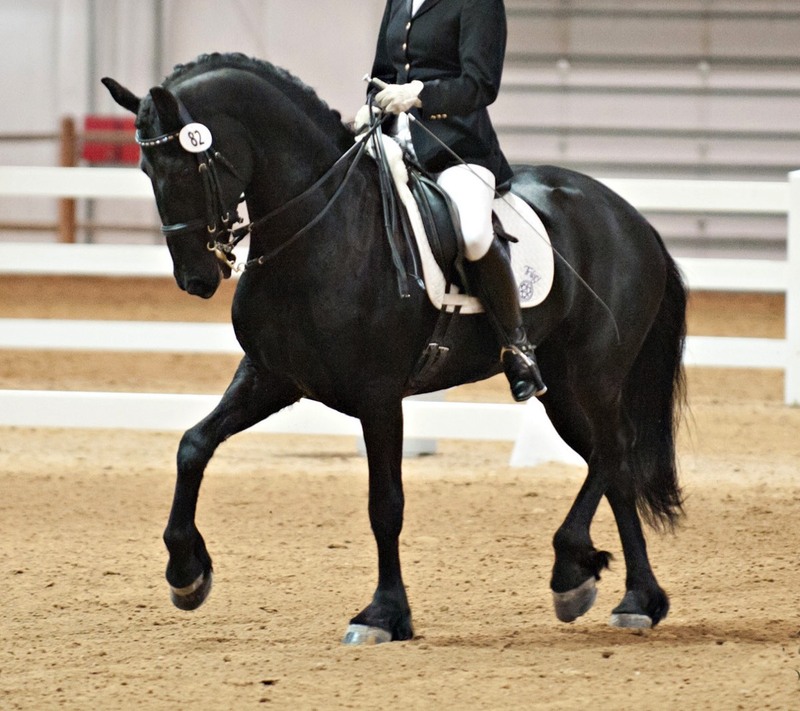 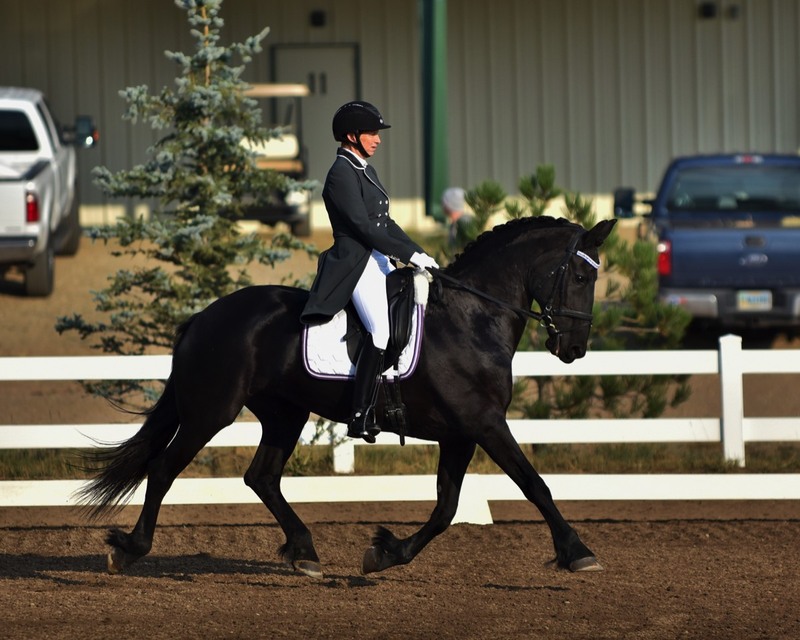 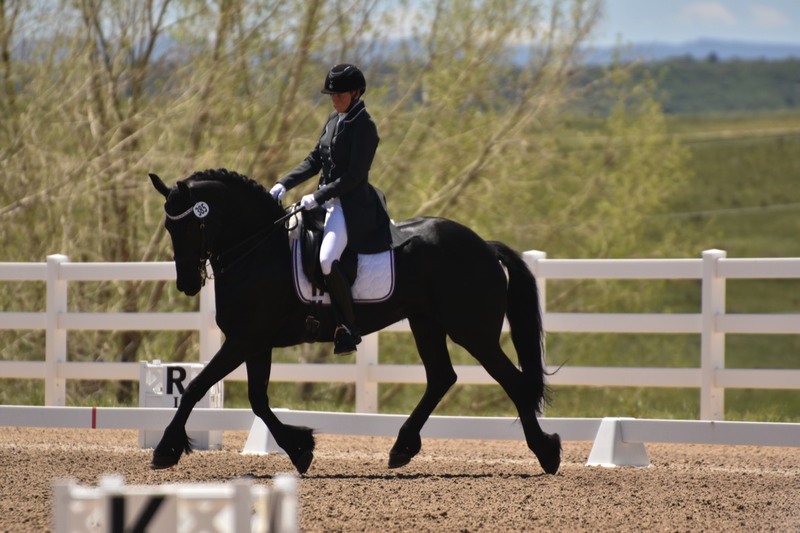 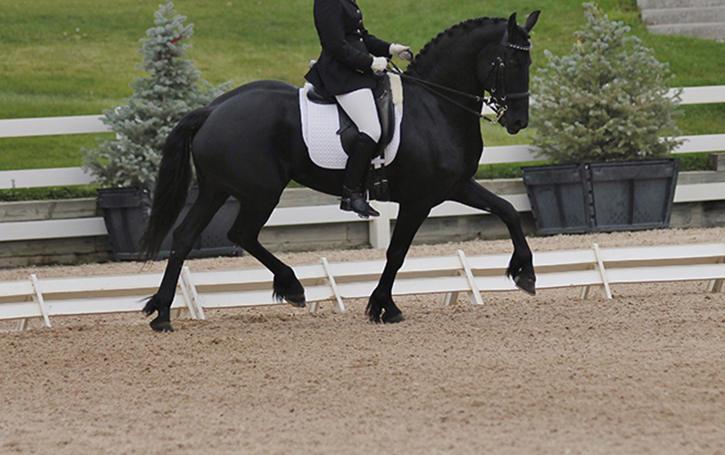 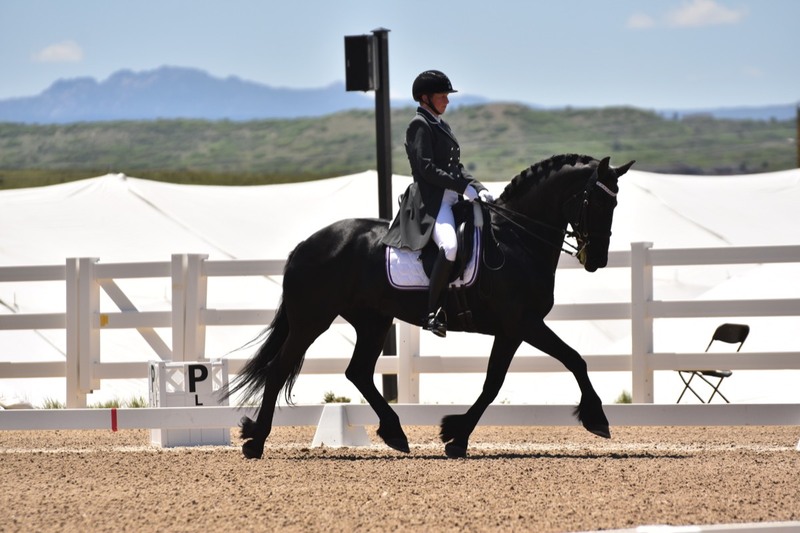 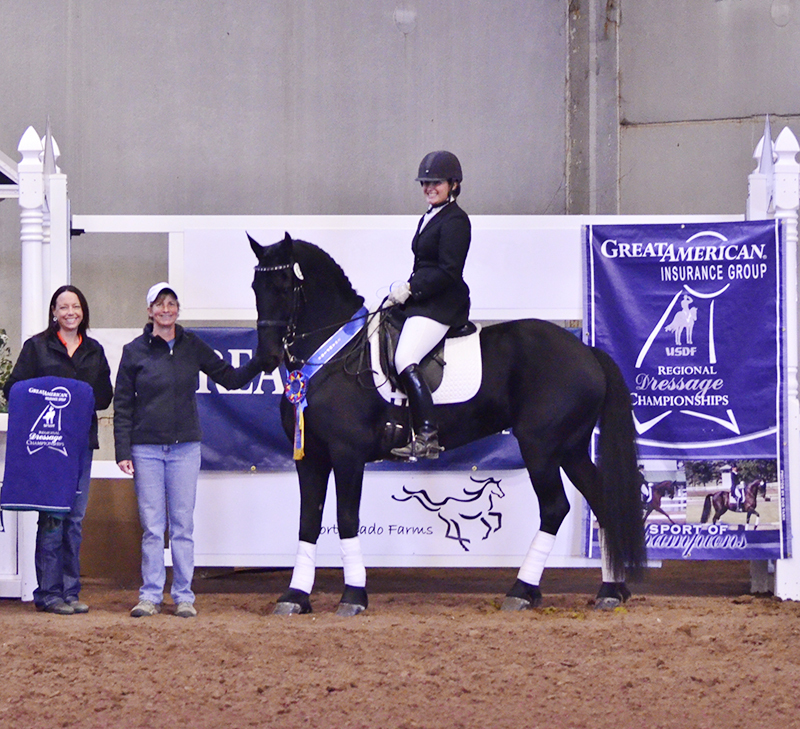 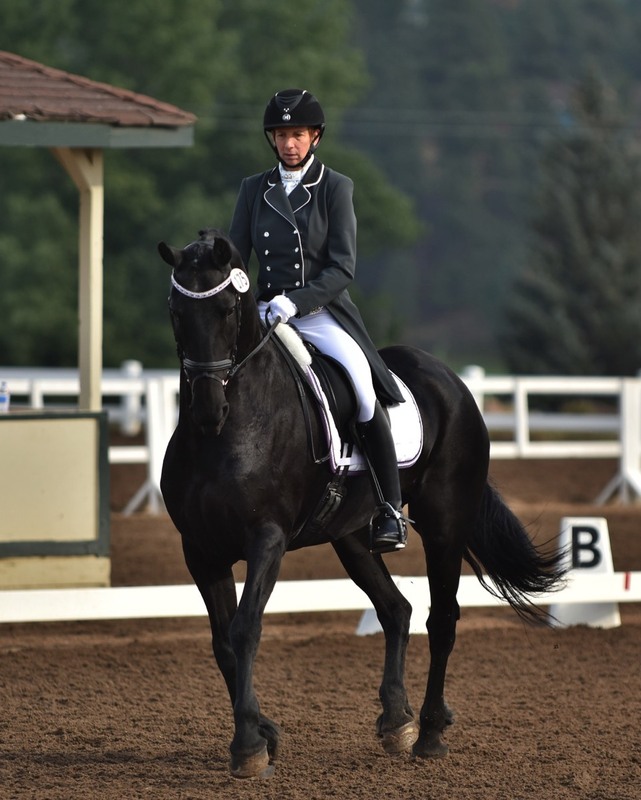 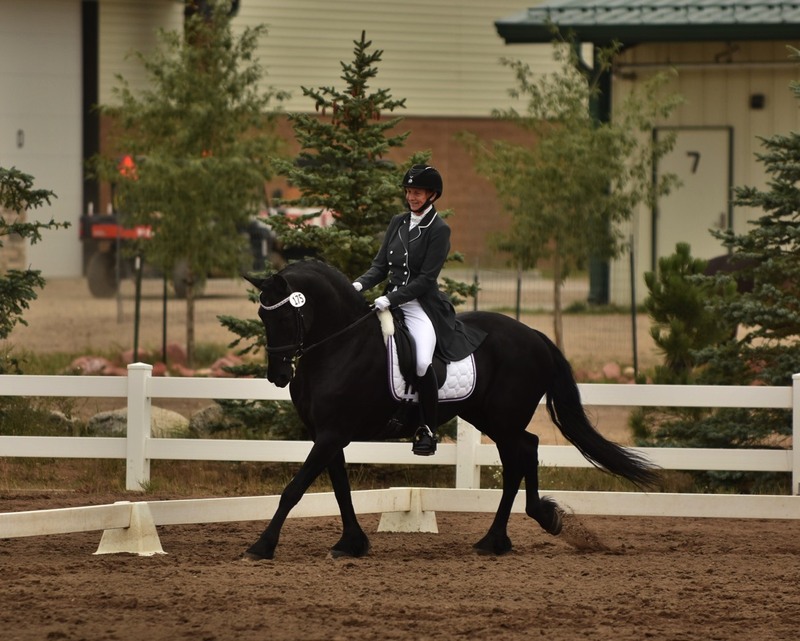 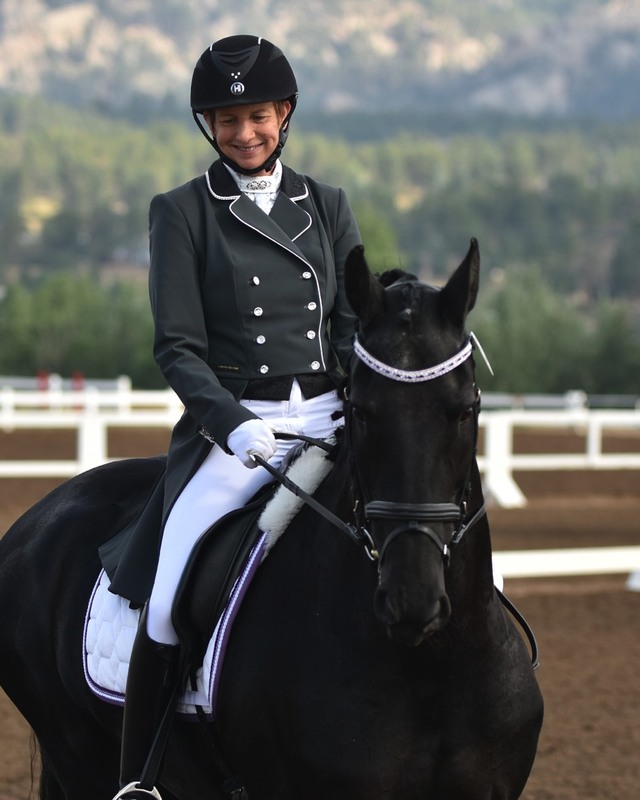 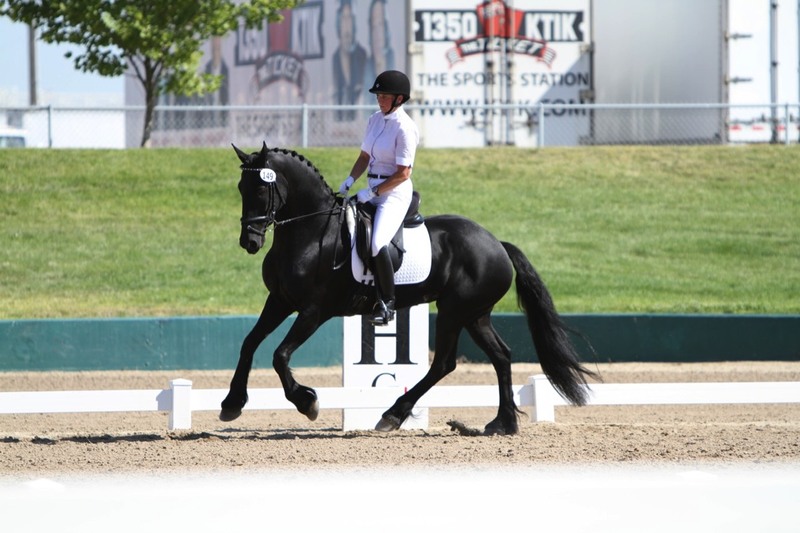 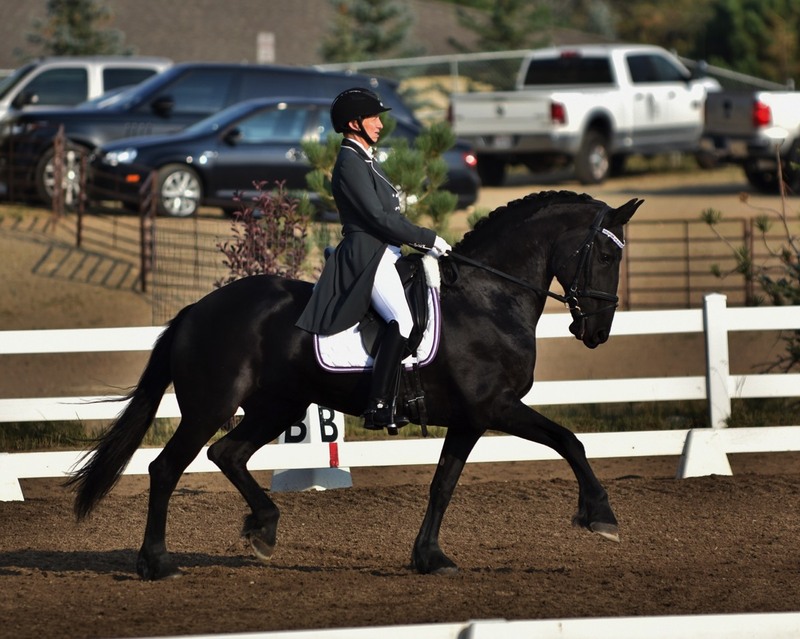 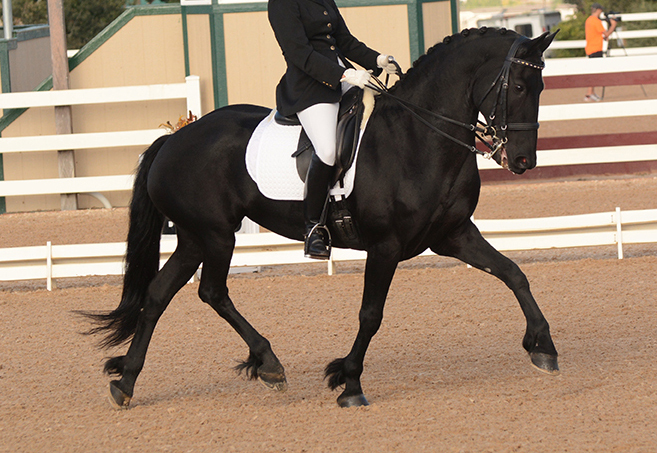 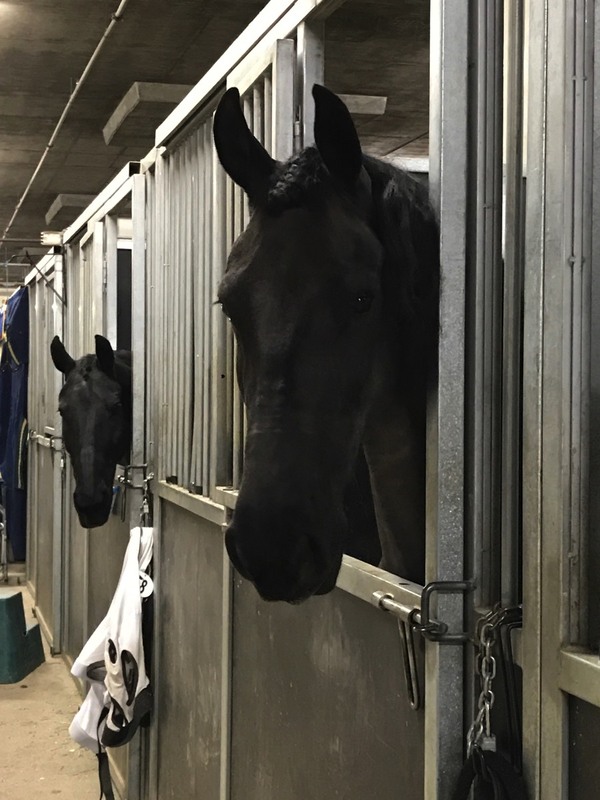 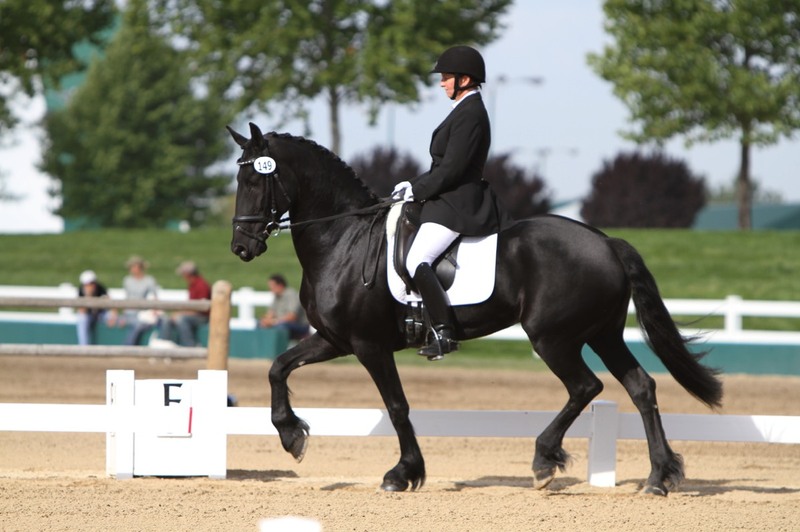 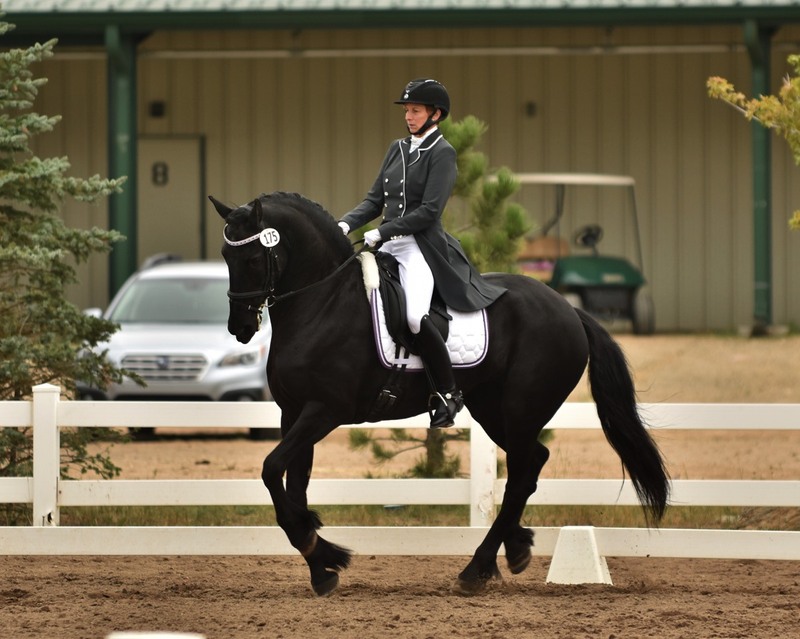 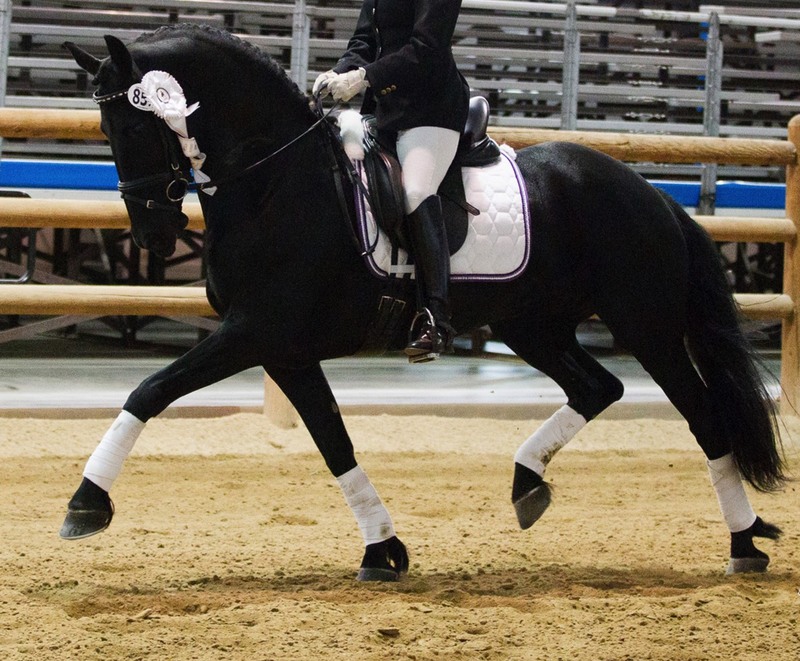 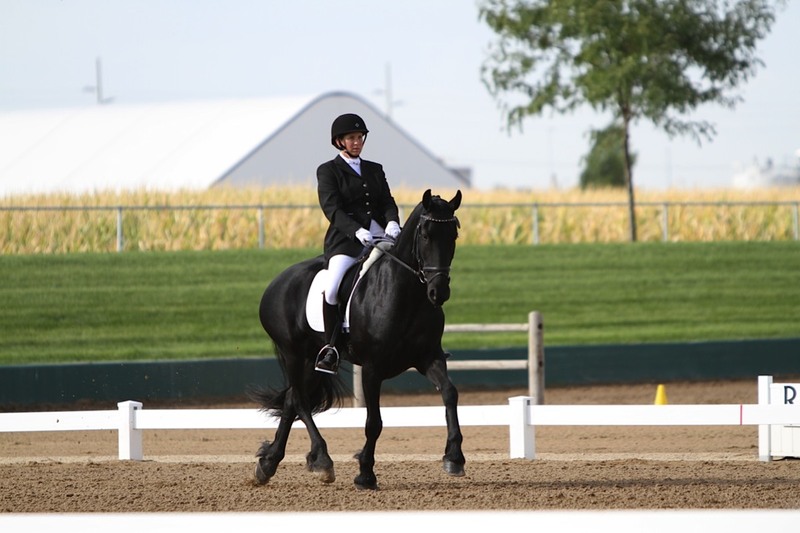 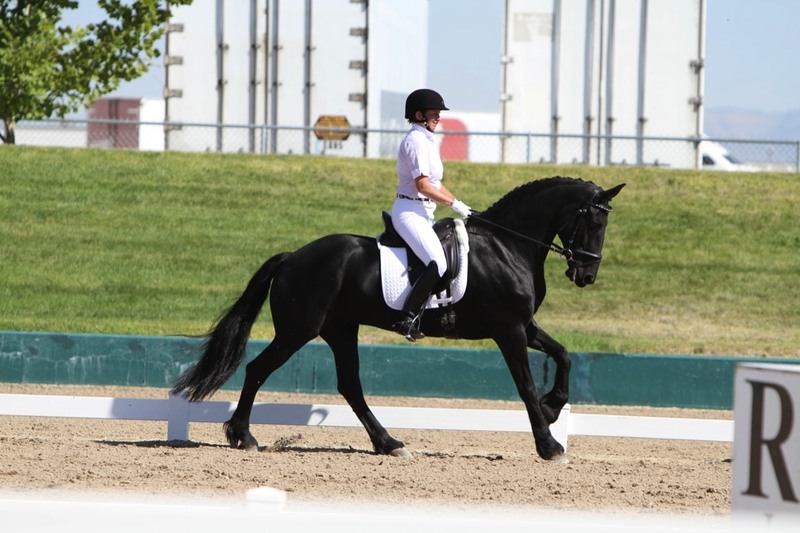 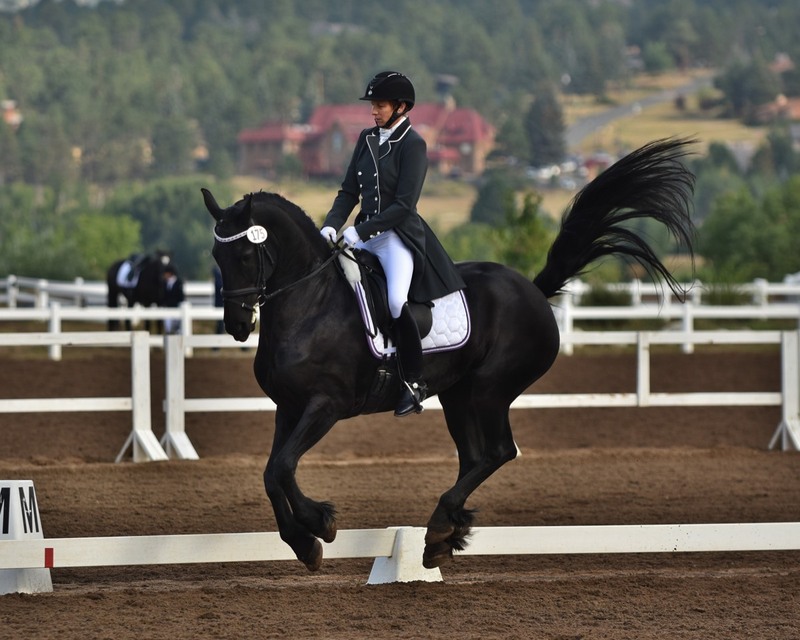 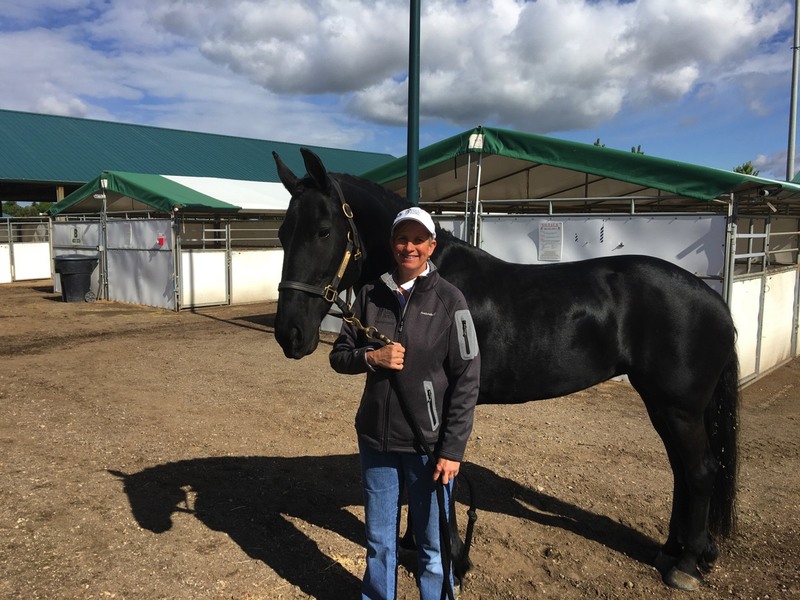 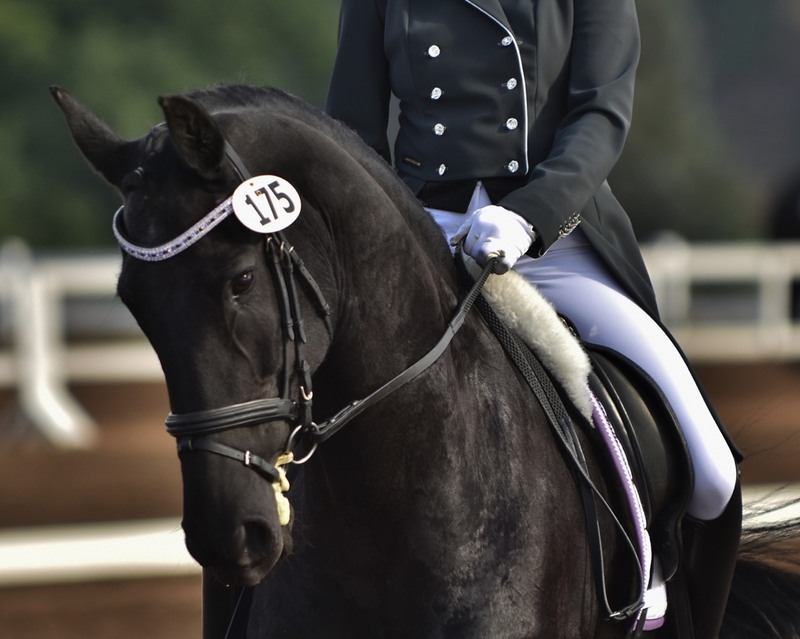 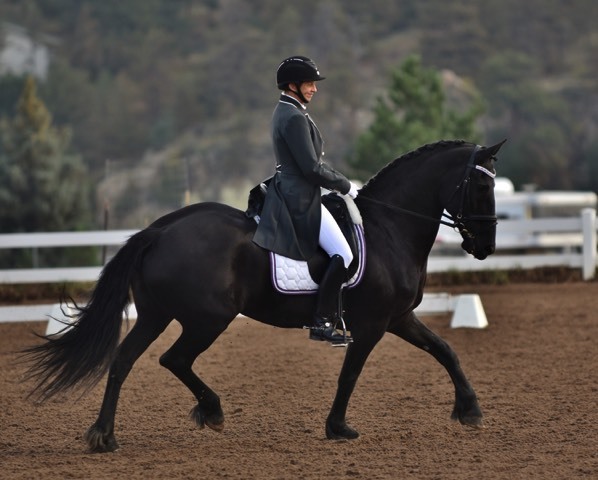 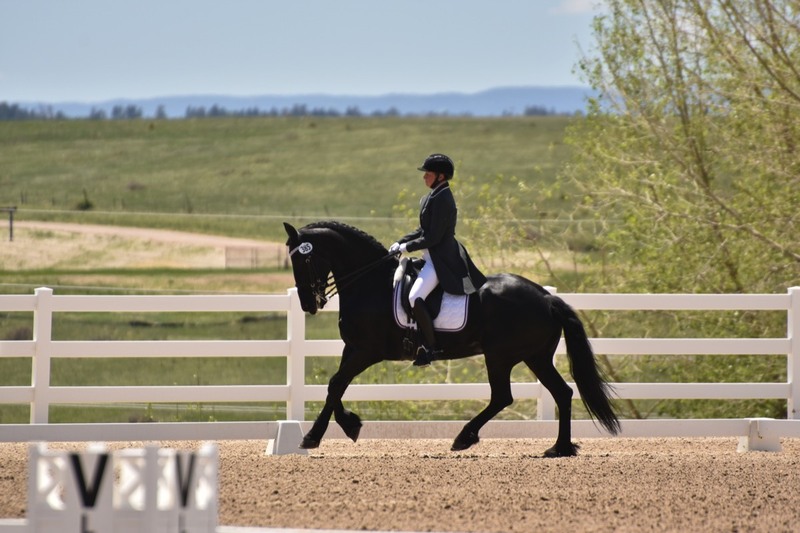 It was thought at the time that any career as a dressage horse or broodmare was hopeless. 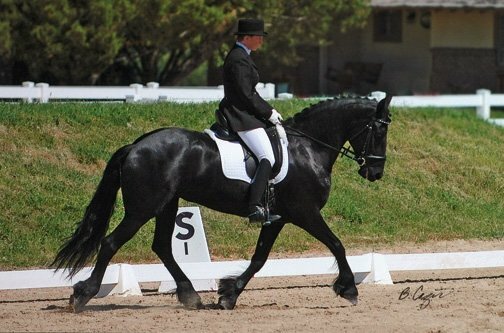 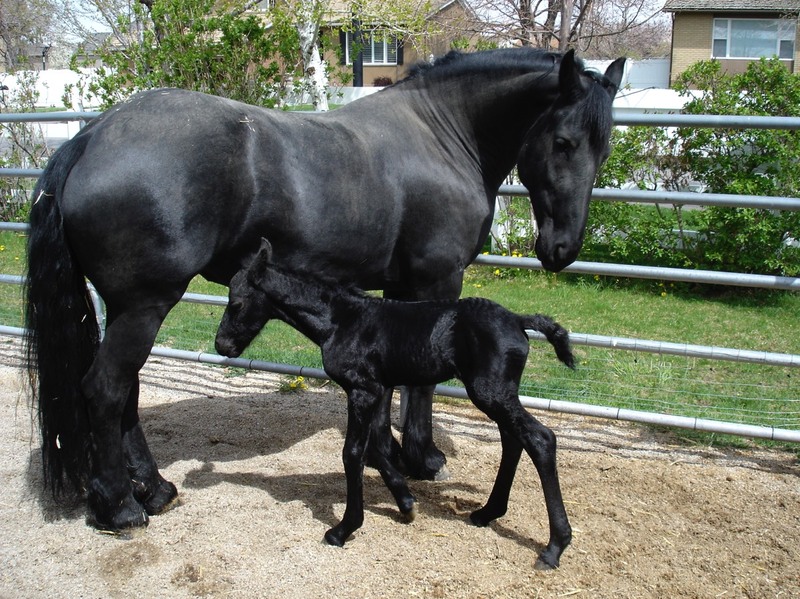 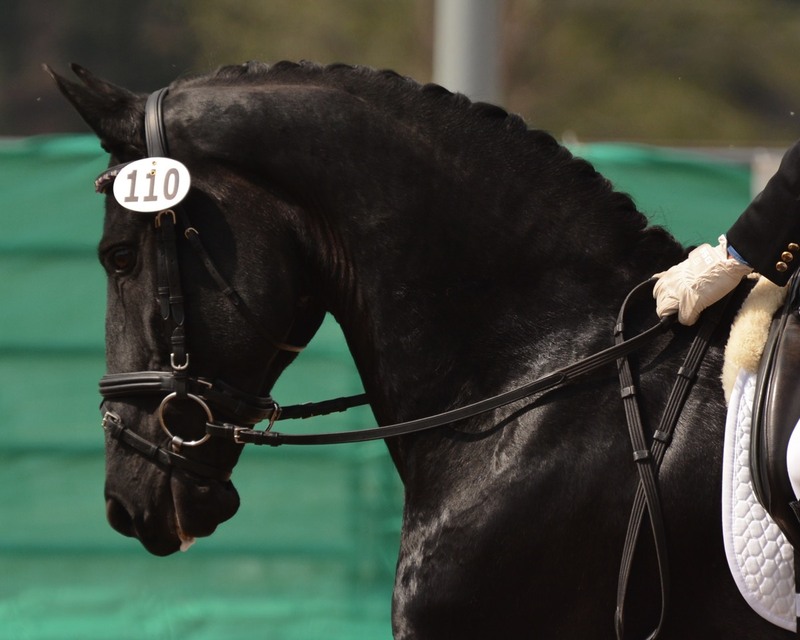 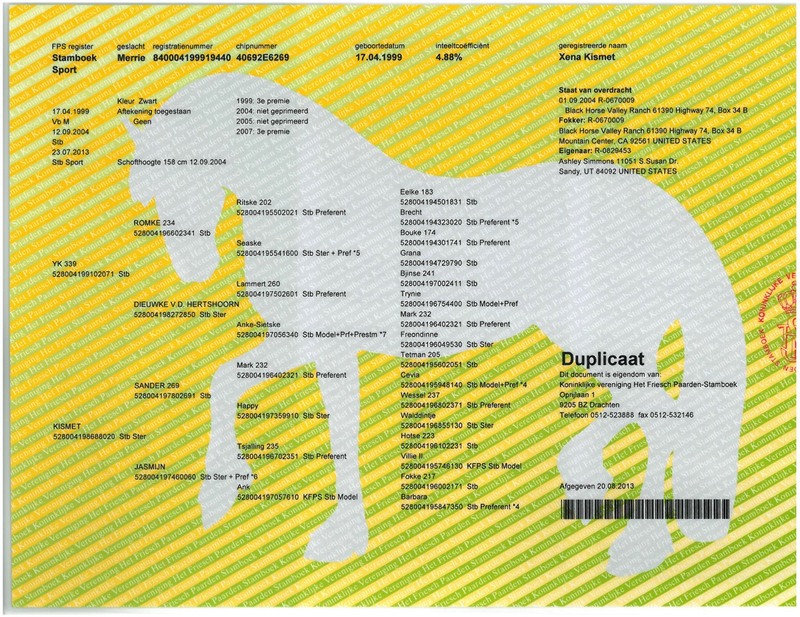 Yet not only did she produced a beautiful foal, she has successfully shown through Intermediare I in dressage.